Regardless of what anyone has to say about the current state of the Star Wars franchise, the one thing I'm sure most of us can agree on, touch wood, is how great each film actually looked! Now I must admit, Yoda's appearance in 'The Last Jedi' does seem a little bit dodgy, bordering on the, 'What the f*ck!'. But in the same breath, all of those other artistic touches displayed did lend a great deal to the overall tone and style of each movie. On top of that, they were also surprisingly educational! For example, after watching 'Solo: A Star Wars Story', Lando Calrissian taught me how not to pronounce Han's name properly. Which, in a funny way, reminds me of the following three books now published by Abrams. Here, check them out. Age Range: 3 to 5 years. Synopsis: If you have a young child that's eager to be introduced to the wonderful world of Star Wars, then please, for the love of Luke, don't take the little tyke to see any of those God-awful new films! What you should do instead is show your infant Padawan the following book published by Abrams. 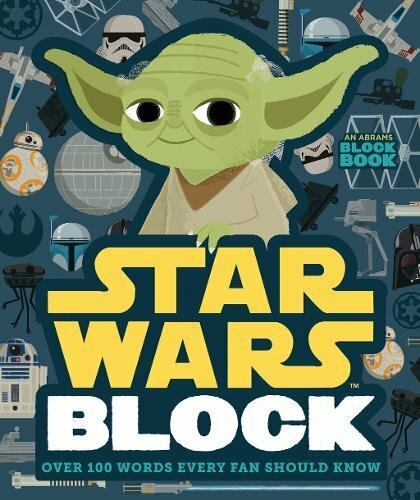 So far it's the sixth book in the Block series of books, which takes the readers on a tour throughout the Star Wars galaxy, and features popular characters and moments from all of the films, including Rogue One, the Skywalker saga, Kenobi, plus, much much more. 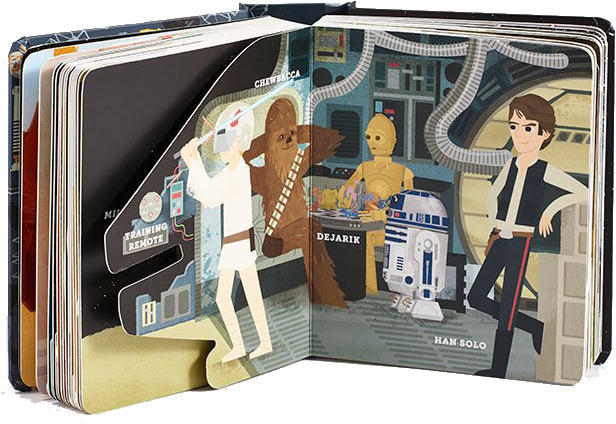 As in previous Block Book titles, Star Wars Block includes die-cut shapes on every spread, along with the charming artwork produced by the British design team, Peskimo. Each spread also features important words every Star Wars fan should know, such as Yoda, Solo, and Droid, among others. What I thought of it: In all fairness, this book is a pretty good book because it's clearly illustrated, simple to follow, and sets out and achieves precisely what it wants to do: Introduce children to the characters featured in the Star Wars Universe. Last week I gave it to my nephew, Mark, who's only four years old, and immediately he loved the look of it and enjoyed trying to pronounce the names of each character showcased on each page. After a while, though, it became pretty damn obvious that his favorite character was Yoda, the Jedi Master, and so he started to ask me a series of questions about him. Such as, where does he live? When can he go and see him? Why he's green? And why did Rian Johnson f*ck him up during 'The Last Jedi'? OK, so maybe that last question wasn't one of his. Even so, it did get him interested in the franchise and I will take Mark to see the films as soon as he can pay. I would also like to add that I found the book's rounded-corners and bulky-frame very child-friendly, as they prevented Mark from getting a paper-scratch and made it easy for him to grip and hold onto. 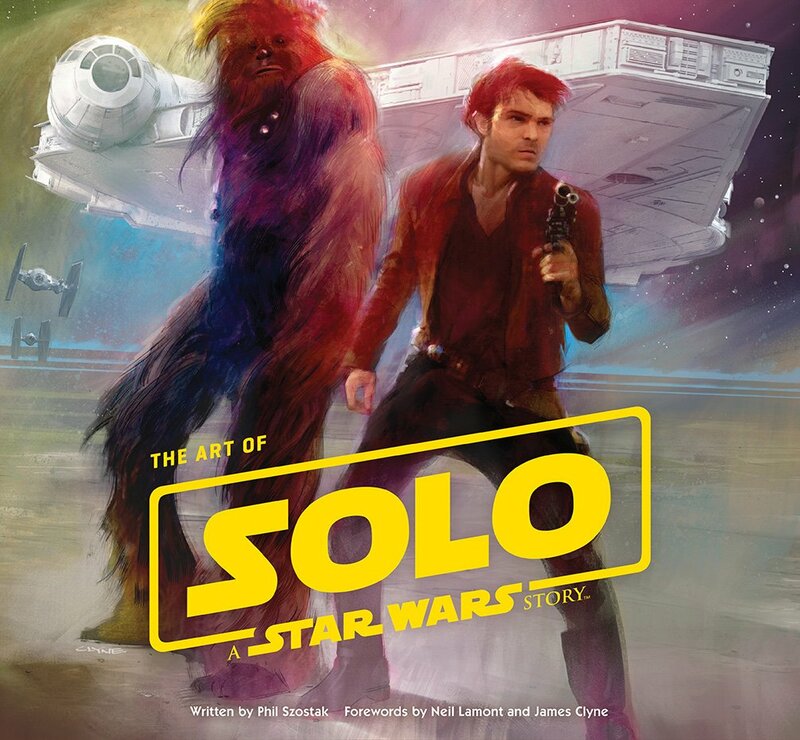 Synopsis: Packed with hundreds of spectacular images, including production paintings, concept art, sketches, storyboards, and matte paintings, The Art of Solo: A Star Wars Story, is a must-have for any Star Wars fan as it acts as a definitive guide to the art of the film. 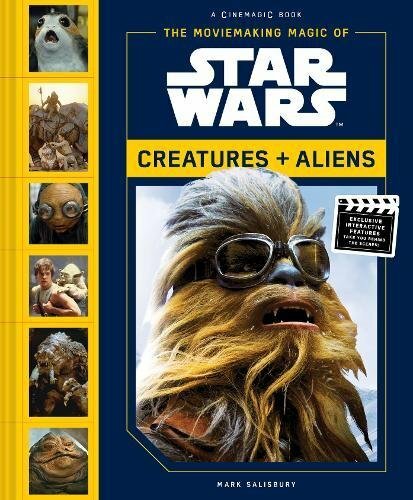 The book was designed and created by three men who've worked on similar projects in the past, namely, the creative art manager of Lucasfilm, Phil Szostak, who was also the author of a previous Star Wars book published by Abrams, The Art of Star Wars: The Force Awakens, along with Neil Lamont and James Clyne. While Neil served as supervising art director for Star Wars: The Force Awakens, and was the co-production designer on Rogue One: A Star Wars Story, James, on the other hand, has worked as an artist in the film industry for well over a decade, collaborating on more than thirty film projects, including Artificial Intelligence, Minority Report, Avatar, and two Star Trek films. 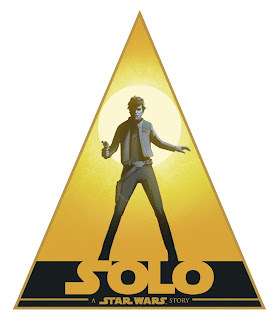 What I thought of it: It’s been announced in the media that a large number of fans will purposely avoid watching ‘Solo: A Star Wars Story’, all because of the political machinations associated with the current president of Lucasfilm, Kathleen Kennedy. So if you’re one of these people, and you want to watch this film without physically going to the cinema to see it, why don’t you make a compromise by picking up, 'The Art of Solo: A Star Wars Story'? Trust me, it’s a good book, a really good book, and it's jam-packed with so much content, like art, trivia, and that sort of thing, you will spend more time reading it than watching the actual movie it was created for. Come to think of it, I’m going to go out on a limb here and say that the art presented in this book is the main driving force behind it. Not only because most of these images are large, grand, and very cinematic to look at, visually at least, but in addition to this, we also have the luxury of seeing variations on a scene or a character that may or may not pop-up in the film. Having said that, though, it does have one slight drawback: It’s size and it’s weight; because in all fairness, it’s a pretty heavy book and quite large too. So in retrospect, it isn’t very portable and you may have some difficulty housing it on a conventional bookshelf. Apart from that, though, all in all, it’s great to read and well worth picking up for the images and the trivia alone. Synopsis: Take a look behind-the-scenes of the biggest movie franchise of all time in this immersive and interactive book created by Mark Salisbury, who's also the author of Behind the Mask: The Secrets of Hollywood's Monster Makers, as well as being an editor and a writer on many other relatable works, most notably, for Premiere magazine. 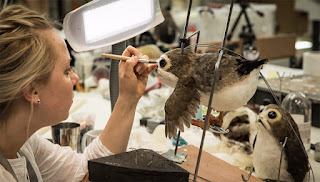 Fortunately, the interactive elements embedded inside 'The Moviemaking Magic of Star Wars: Creatures & Aliens', are very revealing in nature, as it includes a number of undetachable booklets, accordion styled folds and flaps, as well as sketches, molds, digital imagery, and more, which each reveal the magic behind the movie! 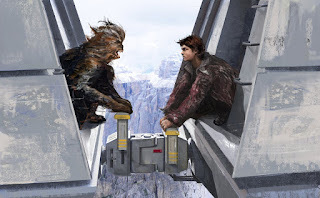 What I thought of it: Just like the two other books featured on this list, this one also aims to educate people about the mysteries surrounding the Star Wars Universe. In this case, however, it goes about doing so in a very practical manner: Simply by relaying all of those real, tasty, behind-the-scenes facts, tucked way, way, way, in the background. Personally, I just love reading this type of book, I really do, because it manages to do two different things in one foul swoop. 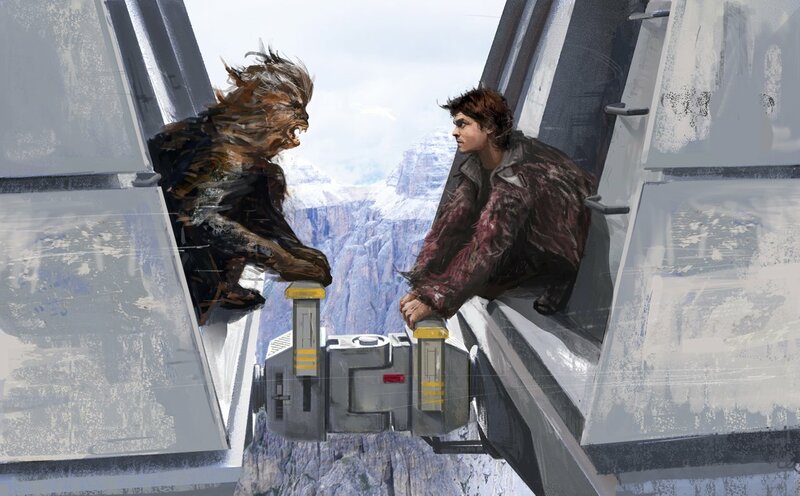 Firstly, it shows us alternate versions of the characters, props, and backgrounds featured in this franchise, such as the Ewoks, Yoda, Chewbacca, and Obi-Wan Kenobi, among others; and secondly, it also informs us about the technology and methods used when it comes down to creating the world these lifeforms and machines inhabit, especially the numerous droids, aliens, planets, and spaceships. I have to also applaud how each chapter is ordered to correspond with each episode within the series, starting with the original trilogy, then the prequels, and finally the current crop of films, which inadvertently reflects the historical aspects associated with the making of this long-running-saga. Along similar lines, I likewise enjoyed perusing through all of those inserts scattered throughout each chapter, as I thought they were a nice, fun, little touch, which generally enhanced my enjoyment. Now for more information please don't hesitate to check out the Abrams And Chronicle official website or subscribe to their facebook or twitter pages. Go on, have a look today and may the force be with you.